After a little over 6 years, I am embarking on a new adventure. Today is my last day at Canonical, it’s bitter sweet saying goodbye precisely because it has been such a joy and an honor to be working here with so many amazing, talented and friendly people. But I am leaving by choice, and for an opportunity that makes me as excited as leaving makes me sad. I’ve worked at Canonical longer than I’ve worked at any company, and I can honestly say I’ve grown more here both personally and professionally than I have anywhere else. It launched my career as a Community Manager, learning from the very best in the industry how to grow, nurture, and excite a world full of people who share the same ideals. I owe so many thanks (and beers) to Jono Bacon, David Planella, Daniel Holbach, Jorge Castro, Nicholas Skaggs, Alan Pope, Kyle Nitzsche and now also Martin Wimpress. 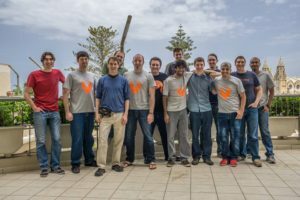 I also couldn’t have done any of this without the passion and contributions of everybody in the Ubuntu community who came together around what we were doing. As everybody knows by now, Canonical has been undergoing significant changes in order to set it down the road to where it needs to be as a company. And while these changes aren’t the reason for my leaving, it did force me to think about where I wanted to go with my future, and what changes were needed to get me there. Canonical is still doing important work, I’m confident it’s going to continue making a huge impact on the technology and open source worlds and I wish it nothing but success. But ultimately I decided that where I wanted to be was along a different path. Of course I have to talk about the Ubuntu community here. As big of an impact as Canonical had on my life, it’s only a portion of the impact that the community has had. From the first time I attended a Florida LoCo Team event, I was hooked. I had participated in open source projects before, but that was when I truly understood what the open source community was about. Everybody I met, online or in person, went out of their way to make me feel welcome, valuable, and appreciated. In fact, it was the community that lead me to work for Canonical in the first place, and it was the community work I did that played a big role in me being qualified for the job. I want to give a special shout out to Daniel Holbach and Jorge Castro, who built me up from a random contributor to a project owner, and to Elizabeth Joseph and Laura Faulty who encouraged me to take on leadership roles in the community. I’ve made so many close and lasting friendships by being a part of this amazing group of people, and that’s something I will value forever. I was a community member for years before I joined Canonical, and I’m not going anywhere now. Expect to see me around on IRC, mailing lists and other community projects for a long time to come. Next week I will be joining the team at Endlessas their Community Manager. 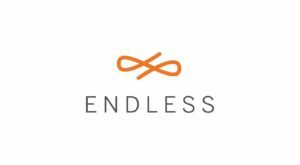 Endless is an order of magnitude smaller than Canonical, and they have a young community that it still getting off the ground. So even though I’ll have the same role I had before, there will be new and exciting challenges involved. But the passion is there, both in the company and the community, to really explode into something big and impactful. In the coming months I will be working to setup the tools, processes and communication that will be needed to help that community grow and flourish. After meeting with many of the current Endless employees, I know that my job will be made easier by their existing commitment to both their own community and their upstream communities. What really drew me to Endless was the company’s mission. It’s not just about making a great open source project that is shared with the world, they have a specific focus on social good and improving the lives of people who the current technology isn’t supporting. As one employee succinctly put it to me: the whole world, empowered. Those who know me well will understand why this resonates with me. For years I’ve been involved in open source projects aimed at early childhood education and supporting those in poverty or places without the infrastructure that most modern technology requires. And while Ubuntu covers much of this, it wasn’t the primary focus. Being able to work full time on a project that so closely aligned with my personal mission was an opportunity I couldn’t pass up. Over the past several months I’ve been expanding the number of communities I’m involved in. This is going to increase significantly in my new role at Endless, where I will be working more frequently with upstream and side-stream projects on areas of mutual benefit and interest. I’ve already started to work more with KDE, and I look forward to becoming active in GNOME and other open source desktops soon. I will also continue to grow my independent project, Phoenicia, which has a similar mission to Endless but a different technology and audience. Now that this is no longer competing in the XPRIZE competition, it releases some restrictions that we had to operate under and frees us to investigate new areas of innovation and collaboration. If you’re interested in game development, or making an impact on the lives of children around the world, come and see what we’re doing. If anybody wants to reach out to me to chat, you can still reach me at mhall119@ubuntu.com and soon at mhall119@endlessm.com, tweet me at @mhall119, connect on LinkedIn, chat on Telegram or circle me on Google+. And if we’re ever at a conference together give me a shout, I’d love to grab a drink and catch up.